Sports flooring is good not only for playing various sports and games on, but also for dancing and even daily use. It’s a durable surface that withstands hard use and cleaning. It generally also is designed to have a slight give so joints and organs aren’t as pounded during the sports activity. Sports have seen a huge increase in popularity over the last twenty-five years. Much of this is due to the fact that professional sports figures make huge salaries and the belief that the earlier you begin sports training, the more likely your child will be one of those celebrity sports figures. This increase in popularity has, in turn, caused an increase in the number of sport flooring options that are available for indoor sporting areas, including gyms. The number of different choices will astound you, because some of the sports flooring choices do not resemble a typical floor that is used for sporting events. What are the benefits of sport flooring over other types of flooring? The most significant benefit is that it can hold up well to the added wear that playing sports can add to a floor. Most regular flooring options wouldn’t last long when combined with vigorous sports being played on them. Sport flooring options also help to decrease injuries in the athletes due their resilient design. This is ideal for all different sports, from basketball to indoor football to volleyball, because there is a great deal of running done. If the flooring surface is too hard it can cause severe stress damage to the body. Sport flooring is used in many different places. From an elementary school gym to a professional sports arena, there are many different sport flooring options that you can choose from. From wood to rubber to turf, all are available in sport flooring. Here are just a few of the different styles that are available in sport flooring. This type of flooring is known for its resilience and traction. It is an ideal flooring choice for a running track. Due to its traction, anti-fungal, and anti-bacterial properties, it is also a good choice for locker rooms and swimming pools. This type of flooring can be purchased in a textured or smooth surface. Your preferences and its use will help guide your selection. It is a good choice for schools, because it is ideal for so many different indoor sports. It’s very durable and holds up well under a great deal of hard use. It comes in a wide variety of colors, which is great if you want that custom look for your sport flooring. If wood is more of what you have in mind, there are lots of options for you. Maple is the predominant choice in sport flooring because it’s a hard wood. These floors are not normal wood flooring, however, because they are constructed specially for sporting use. They have channels of air and resilient materials that help give the floors some give. That give makes the pounding easier on the joints of the sports player. These are the type of floors that you see in many gyms and basketball courts across the country. They can be permanently installed or they can be portable so that the area can be used for many different purposes. When choosing the sport flooring for your area, you need to determine what sports that you are going to be playing and what other purposes the room may have. 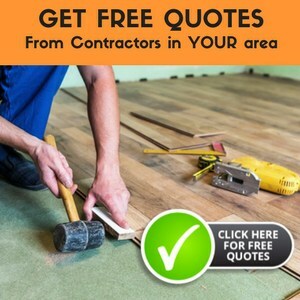 By carefully considering the use of the room and whether you want synthetic or natural flooring, you will be on the right track to finding the right sport flooring for your gym or other area.